Hans Winter. Oil on board. 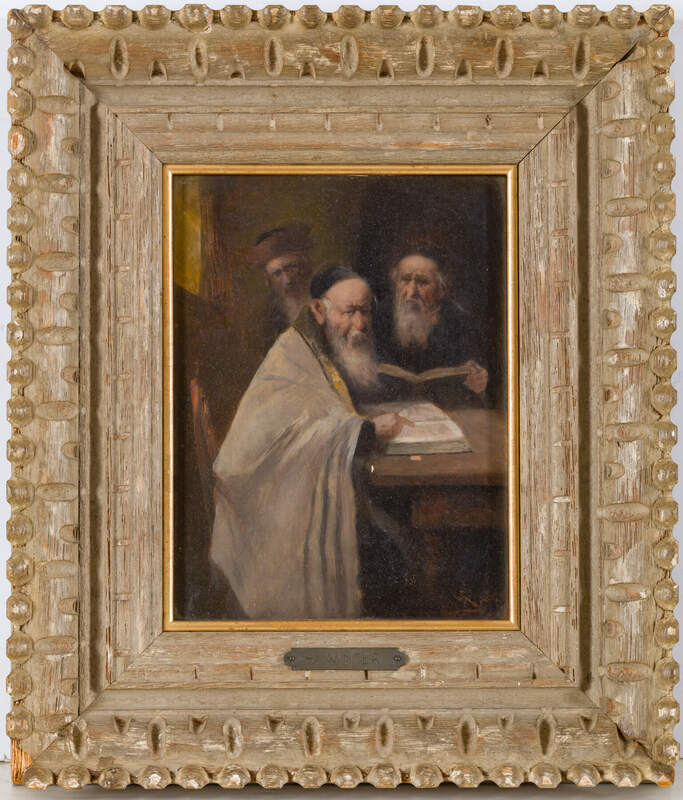 Three elderly rabbinical figures at prayer in the synagogue. 8.4” x 6.3”.